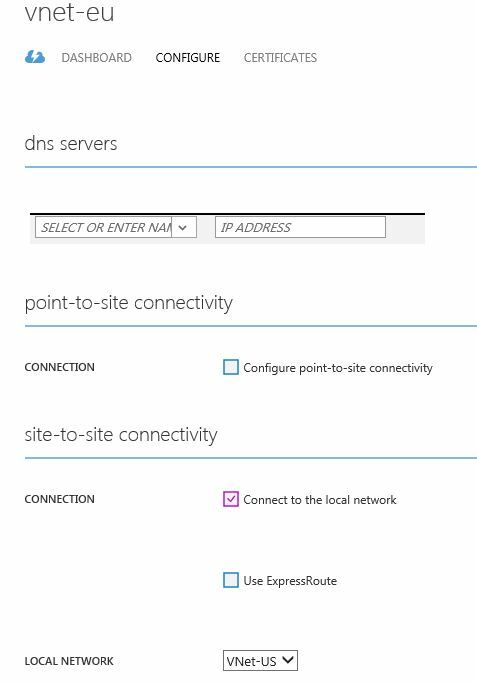 Extend Virtual Networks between Azure regions or subscriptions to allow communication between Azure resources to create own replication or clustering infrastructure like SQL Always On, Exchange DAG, MySQL replication, DFS etc. Login to Azure Portal, and create new VM Network (Create VNet-US network now, we will repeat the process to create VNet-EU) by selecting New -> Network Services -> Virtual Network -> Custom Create. 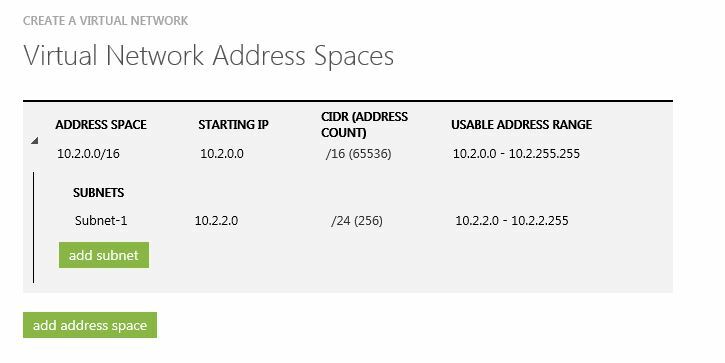 On this screen, enter the Address Space and Subnets as explained the table above. Once the Virtual Networks are created, we need to now define Local Networks. 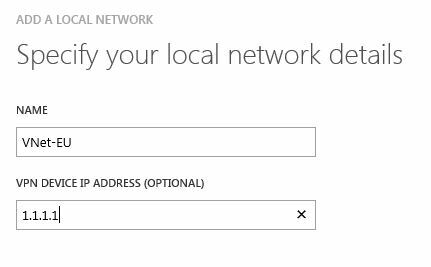 Login to Azure Subscription where VNet-EU is being used, and define VNet-US as Local Network. On the next screen, define the address space of VNet-US. 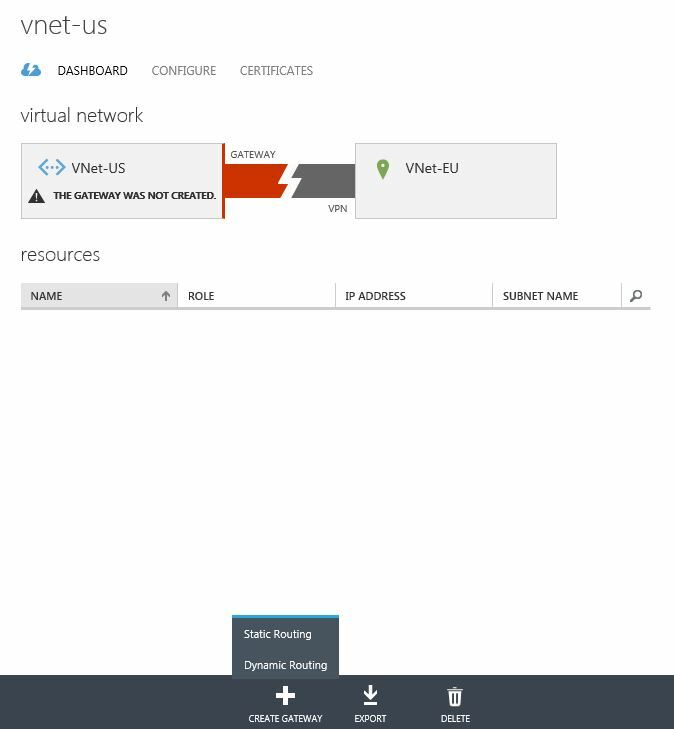 Login to VNet-US Azure Subscription, select the Virtual Network, click on CONFIGURE and in the Site-to-Site connectivity section, select Connect to local network and select the local network that was created for Europe. Repeat the process for VNet-EU as well. You need to create the Gateway on VNet-EU side as well so that it can be used as VPN Gateway in the Local Network configuration. You need not wait for one gateway creation to finish before creating one on the remote site. 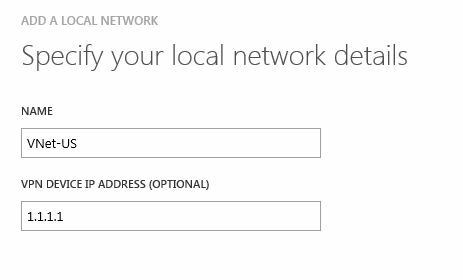 Note down the Gateway IP addresses, and update the Local Network configuration. 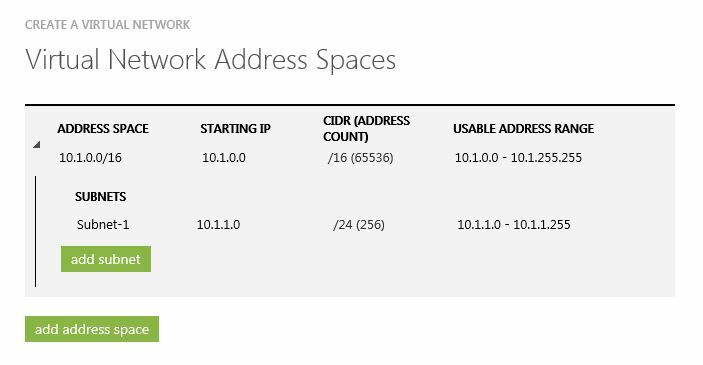 Replace 1.1.1.1 with new IP addresses with new Gateway IP addresses shown above. Once the above configurations are complete on both sides, we need to provide IPSec/IKE pre-shared keys to the gateways for their handshake and connect to each other. 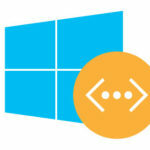 This can be done using Azure PowerShell. On receiving success messages for the above commands. 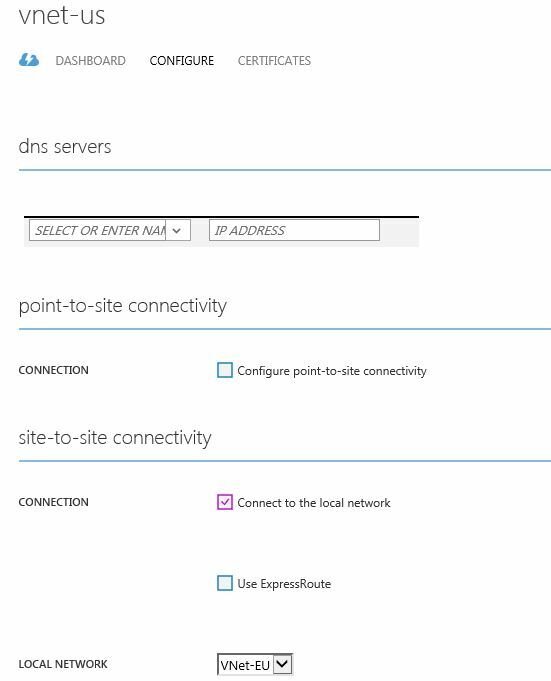 Go back to Azure Portal and connect the Virtual Networks to the gateways. Select Virtual Network, go to Dashboard page and in the bottom select Connect. Repeat the process on other side Virtual Network as well. Wait for a minute or two, and you will see Virtual Networks connect to each other. This completes the Azure Virtual Networks connection and now any Virtual Machines or Cloud Services that are connected to these Virtual Networks will be able to communicate with each other.